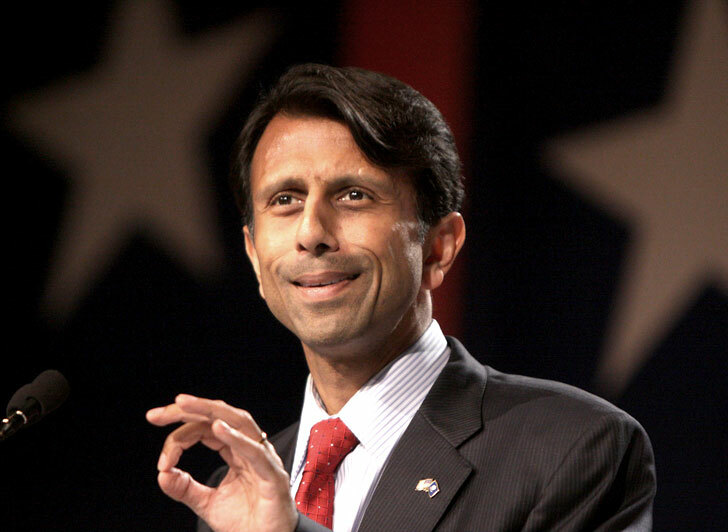 Louisiana Governor Bobby Jindal has decided to join the drill, baby, drill chorus this week by attempting to slam President Barack Obama and his current energy policies. In an op-ed piece in the Wall Street Journal Jindal says the President’s current environmental policies are “radical” and will wreak havoc on the country’s energy system. This, coming from the man who wanted to stop the gulf oil spill from reaching his state by dredging up delicate ecosystems and building barrier islands out of sand? That seems a whole lot more radical than the President’s vision of a future where we explore all of the energy options currently on the table in order to create a stable energy economy and reduce prices. We’d say the Obama administration’s energy policy is pretty forward-thinking and Jindal, by contrast, can’t even seem to think far enough into the future to realize that building castles out of sand is never a good idea. Gov. 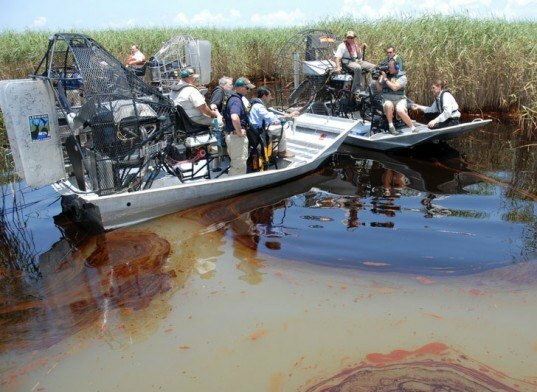 Jindal wants the President to do the following: open up new drilling parcels offshore, promise not to shut down the hydrofracking industry, go against Secretary of Energy Steven Chu’s recommendations to lower energy costs and reverse his decision on the Keystone XL pipeline. Aside from Jindal calling the President radical, considering the Governor’s past decisions here’s what’s funny about his advice: the President is already doing a lot of what Jindal suggests. The Obama administration has not shut down the fracking industry, nor have they said they were going to — much to our chagrin — they just want more transparency. There are more offshore drilling rigs in the Gulf operating now than there were a year ago and production should soon meet an all-time high — sadly putting us at risk of another Deepwater Horizon disaster. The fight against the Keystone XL pipeline is not over and the President hasn’t definitively said no to it — though we wish he would. As for Secretary Chu, well, Jindal’s shown he knows squat about the environment in the past, so how can he possibly say he knows better than a man with a Nobel Prize in Physics? It seems Governor Jindal has just joined the chorus of antiquated thinkers who are screaming “Oil!” at the top of their lungs while ignorantly blaming the President for the current state of oil prices — which have more to do with Iran than anything (which by the way Jindal’s cohorts just keep threatening to bomb). All the while the President is calmly trying to placate them by not taking their favorite oil and gas options off the table. Though we’d like him to divert his attention from the oil and gas industries, he’s still out there opening up new leases even though Republicans say he isn’t. More importantly, however, he’s investing in the future, a future where oil will most definitely run out and we’ll need another option to keep our society from falling apart. He’s investing in solar, wind, algae, hydrogen gas, electric cars and hydro power. He’s looking forward and taking the advice of scientists who the Republican party is willfully ignoring. Jindal wants the President to ramp up production of domestic oil to help secure energy futures which drive up current oil prices but as the President has noted we only have 2% of the Earth’s oil reserves. How in the world are we supposed to secure the future of oil production when 98% of it is out of our hands and while the current use of it is creating a future where we might not even be around to use it thanks to global climate change. Jindal wants the President to “put energy prices and energy independence ahead of zealous adherence to left-wing environmental theory.” We say Jindal is the one politicizing here and maybe he should open up his oil slicked tunnel vision to the world of energy possibilities that investments in advanced technology and alternative fuels are putting at our fingertips. Louisiana Governor Bobby Jindal has decided to join the drill, baby, drill chorus this week by attempting to slam President Barack Obama and his current energy policies. In an op-ed piece in the Wall Street Journal Jindal says the President's current environmental policies are "radical" and will wreak havoc on the country's energy system. This, coming from the man who wanted to stop the gulf oil spill from reaching his state by dredging up delicate ecosystems and building barrier islands out of sand? That seems a whole lot more radical than the President's vision of a future where we explore all of the energy options currently on the table in order to create a stable energy economy and reduce prices. We'd say the Obama administration's energy policy is pretty forward-thinking and Jindal, by contrast, can't even seem to think far enough into the future to realize that building castles out of sand is never a good idea.